After a long winter, your aging loved ones may be eager to go outside and enjoy the warmer weather. Caregivers are o􀁟en hesitant when it comes to outdoor activities for fear that their elderly parent or relative may run into some injury such as falling, overheating, exhaustion and many other serious situations. 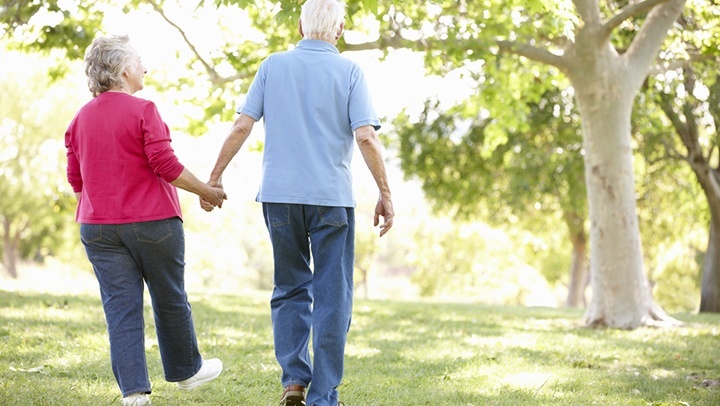 Seniors who are dependent on caregivers require trips outside for many reasons. The sun is a fantastic natural source of Vitamin D and fresh air does them a world of good. But also, outdoor activities have the potential to open up doors for socialization and new experiences for seniors. Here are safe and fun activities to do with your aging loved one this spring. Picnic in the park. A non-stressful visit to the park could be the perfect afternoon for you and your loved ones. Pack a lunch and proper medical supplies just in case. Dog walking. Walking is always a great way to get your seniors moving, but a furry companion could make it all the more rewarding. Pets have been proven to be therapeutic for seniors and could deter depression. Go to a sporting event. You don't have to go to a major league baseball game to enjoy a sports game outside. Check out your local area and support youth sporting leagues in the process. Water activities. Swimming is a low-impact activity that can help your senior achieve the desired exercise with less stress on their joints. Meanwhile, fishing may not be necessarily a heavy workout, but it's a great opportunity for bonding and fun. When it comes to the beach, however, it's worth noting that temperatures can rise very quickly and sunblock is an absolute must. Get out there! Enjoy the sunny weather and the time you have with your aging loved ones. The above activities are sure to provide safe and secure entertainment and lifelong memories for you and your family.